Desiree Akhavan made her filmmaking debut with Appropriate Behaviour in 2014, a semi-autobiographical film that she wrote, directed and starred in as a bisexual Brooklynite trying to balance her sexuality with the expectations of her more traditional Persian family. It was a small but enjoyable film that put a fresh spin on old romantic comedy tropes. Akhavan continues to explore different LGBTQ experiences in her new film adaptation of Emily M. Danforth’s acclaimed young adult novel The Miseducation of Cameron Post, which is finally opening in theatres after winning the Grand Jury Prize at Sundance in January. Cameron Post (Chloë Grace Moretz) is a teenaged orphan who was raised by her very traditional aunt Ruth (Kerry Butler), after her parents died in a car crash. When Cameron is found making out with her female friend Coley (Quinn Shephard) in the backseat of a car on prom night, her aunt ships her off to a gay conversion camp called God’s Promise. God’s Promise is run by the well-meaning Reverend Rick (John Gallagher Jr.) and his strict sister Dr. Lydia Marsh (Jennifer Ehle), a borderline abusive psychotherapist who hopes to “cure” the kids of their homosexuality and gender confusion through a mix of prayer and psychological reflection. At the camp, Cameron forms bonds with the other confused LGBT youth, including her roommate Erin (Emily Skeggs), a more masculine lesbian girl who holds the naive and deeply sad belief that the camp will actually help her change her identity. She also connects with the unfortunately named Jane Fonda (Sasha Lane), a more outgoing girl who uses sarcasm to mask her pain, and Adam Red Eagle (Forrest Goodluck), a Native American kid who identifies as two-spirited, and is threatened to have both his identity and his culture taken away from him. I haven’t read the book on which The Miseducation of Cameron Post is based, so I can’t personally say how it compares, but I could tell while watching the film that a lot of scenes seem to have been cut on its journey from page to screen. From what I’ve heard, the book focuses on a larger chunk of Cameron’s life, where as the movie drops us in right before she is sent off to the conversion camp. We see little of Cameron’s backstory or previous home life, aside from some flashbacks with Coley, and showing more of who she was prior to the camp would have helped flesh out the film. Because we don’t get enough of a first act, this makes the pacing and rhythm of the film feel somewhat off, and at times it plays more like a series of scenes that have been stitched together, rather than a complete whole. With that said, The Miseducation of Cameron Post can still be quite effective on a scene by scene basis and, while the film itself feels rushed and a little threadbare at points, it’s worth seeing for the moments of genuine emotion that well up along the way. The film is directed with a good deal of sensitivity by Desiree Akhavan, who allows her camera to linger over little character moments to deliver maximum emotional impact, and it also features strong performances across the board from both the main and supporting players. The most interesting character here is actually Reverend Rick, who talks about overcoming his own homosexual attractions, but also seems increasingly unsure of what he actually feels or believes. John Gallagher Jr.’s portrayal is filled with subtle nuance, leading to a couple of crushing moments near the end. I found myself wanting to know more about what led him to start the camp with his sister, a domineering figure who is also far from the one-dimensional character that she could have been. 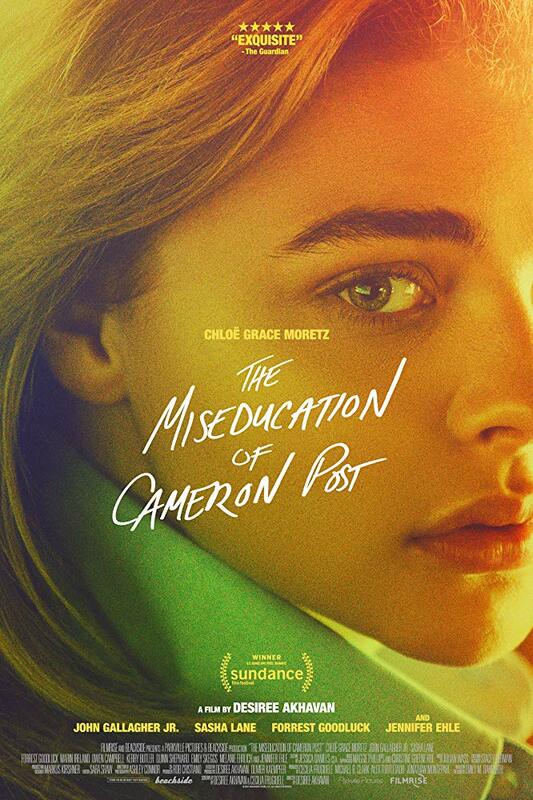 While the film tells a fictional story, what makes The Miseducation of Cameron Post so effective and even upsetting is that gay conversion therapy still exists to this day, despite there being no evidence that it actually works, and much more to suggest that the psychological effects of it can be extremely harmful, especially in the long run. This is a timely and very well acted drama that is worth seeing for its selection of little moments along the way that leave quite an impact. The Miseducation of Cameron Post is now playing in limited release at TIFF Bell Lightbox in Toronto, tickets and showtimes can be found right here.